The main source of energy is the thermonuclear fusion reaction that continuously takes place in the sun. The sun is a huge mass of hydrogen gas and temperature in the sun is very high. The sun is considered as a big thermonuclear furnace where hydrogen atoms are continuously being fused into helium. In this process, some mass (0.7%) is lost during the reaction, which in turn liberates an enormous amount of energy. Thus, the sun, which gives us heat and light energy, derives its energy from the nuclear fusion reaction. This process is going on inside it, all the time. In Sun, there is sufficient amount of hydrogen gas. The presence of necessary temperature in the sun for theformation of free protons. The presence of necessary pressure for thecombination of free protons. Biogas is a mixture of methane, carbon dioxide, hydrogen and hydrogen sulphide. However, the major constituent of biogas is methane. 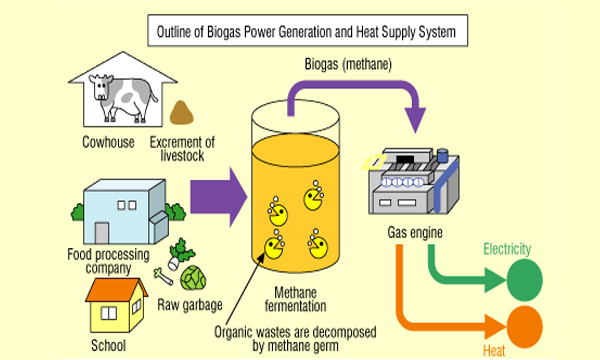 Biogas is produced by the anaerobic decomposition of wastes (like animal dung) or plant wastes in thepresence of water. Anaerobic bacteria decompose these waste materials in thepresence of water and convert them into methane gas and some other gas. In this way, biogas is produced in biogas plants. Biogas burns without smoke and hence does not cause air pollution. Biogas produces more heat while burning. Biogas is cheaper and can be produced easily. Biogas can be used to generate electricity. The energy obtained with the help of tides of thesea is called tidal energy. Or, The energy generated from the tides of thesea is called tidal energy. Big dams are constructed at seashore near water. When tides surge up in the sea, water enters into the dam by crossing the dam and the water is trapped in the dam. When water moves back towards thesea, the water is passed through pipes, which is used to rotate turbines with the help of tides of thesea. Geothermal (geo-earth and thermal heat) energy is the heat energy obtained from rocks, present inside the earth. The extremely hot rocks, present below the surface of the earth, heat the underground water and turns into steam. In such places, two holes are drilled into the earth through which metal pipes are put into them. Cold water is pumped in through one of the pipes. The cold water turns into steam due to the heat of the rocks. The steam thus formed comes out through the other pipe. The steam thus obtained is used to boil water and to produce electricity. In some places, the steam and extremely hot water from the hot spots comes out of the ground on its own where large cracks are present in underground rocks. The steam and hot water thus coming out are used to rotate turbines for generating electricity. It is also used for cooking food, steaming, bathing, etc. The future scarcity of energy due to industrialization, urbanization and overpopulation is called energy crisis. Less use of non-renewable source of energy. Use of alternative sources of energy. The sources of energy, which can never be exhausted and can be replaced quickly if it is used once is called renewable source of energy. For example: Hydropower or hydroelectricity, bio-gas, wind energy, solar energy, tidal energy, geothermal energy, etc. Less use of non-renewable source of energy, public awareness, use of alternative sources of energy, etc. are the measures to solve energy crisis. What is meant by renewable sources of energy? The sources of energy that are continuously replaced by nature within short period of time are called renewable sources of energy. They are inexhaustible as they are constantly replenished. For example wood, wind, solar hydropower etc. The energy, mostly heat and light, produced by the sun is called solar energy. Our main source of energy is sun. Justify. The main source of our energy is sun because we are getting all the energy required for our survival from sun. Our planet is warm because of the heat we are getting from the sun and we can see because of light coming from the sun. We are getting food because of sun, as plants use light energy from sun to prepare their food and whole biosphere is sustained by eating plants or other animals that eat plant. If there was no sun then we cannot imagine life as it is on the Earth. Mention the factors that affect the solar energy found in particular place. Latitude and longitude of the place, height from sea level, weather and time of the day are the factors that affect solar energy found in the particular place. In what ways nature uses solar energy? Nuclear energy is produced when an atom undergoes nuclear reaction. Those nuclear reactions can be of two types either nuclear fusion, where two atoms of same or different element (atoms with less atomic weight) combine to form single atom (atom with heavy atomic weight), or nuclear fission, where single atom of one element (atom with high atomic weight) is broken into two or more atoms of different elements (atoms with lower atomic weight). In earth nuclear power plant produce nuclear energy using controlled nuclear fission. We have not been able to use nuclear fusion to create energy on earth. Nuclear fusion is operating only in stars or to build bombs. Deuterium is an isotope of the hydrogen atom. Normal hydrogen has one proton and no neutron but deuterium also called heavy hydrogen has one proton and one neutron. Write the necessary conditions required to take place nuclear fusion reaction in the sun? There must be presence of abundant amount of combining atoms to start the process of fusion. The temperature must be high enough for the combining atom to collide with each other. The pressure must be right for the atoms to came together for the reaction. The source of energy of the sun is the nuclear fusion. Expalin. In sun there are high number of hydrogen atoms and tempreture and pressure is high enough to get them combine to form heliun nuclei. This reaction is nuclear reaction and it releases huge amount of energy. Since the number of combining hydrogen atoms is high the energy released is very high. Since the enrgy is released in sun is due to combining of hydrogen atoms the surce of enrgy of the sun is nuclear fusion. Who gave the formula E = Mc2 and for what purpose it is used? This equation was given by Albert Einstein in his paper Theory of Relativity. This equation gives the relation between the energy and mass and used to calculate the energy released when certain mass is converted into energy. How does increasing efficiency of a vehicle engine will help in energy conservation? When the efficiency of a vehicle engine is increased then it will provide same output by lesser fuel consumption i.e. with less amount of energy input we are getting higher output than now we are getting. So with less consumption of energy will help in energy conservation. Which type of renewable resource of energy is most useful to our country? The most useful source of renewable energy is hydropower because we have many rivers with high volume of water flowing in them and they flow down the mountainous terrain. These conditions help to produce high quantity of electricity using hydropower. (Nepal has potential of 83GW of electricity). Though Nepal has high potential for hydroelectricity it is hard to produce electricity. Why? It is hard to cultivate the hydropower resource because we lack capital (money) and skilled manpower. What types of energy source are referred as 'Alternative sources of energy'? The energy sources that are different from conventional energy sources and are durable and productive than the conventional energy sources then they are called 'Alternative sources of energy'. For example: Hydropower, solar energy, wind energy, biofuel, tidal energy etc. The core of the earth is very hot. The places where the earth's crust is very thin and heat from the core can escape heating earth's crust, we can use that heat energy to generate electricity or heating or cooling our homes and much more. This heating of earth crust can also be achieved in the places where there are lots of active volcanos where hot magma can come near to the top of the crust heating it. If there are water bodies present in these areas they can serve as hot springs geysers as they are continuously heated by the earth's core. Why biogas plants are considered as boon for farmers? The raw materials for the biogas plants are the dead plants and the waste that comes from the farm. Farmers can use the waste products (that they use to throw) from their farm to produce biogas and use the remaining waste of biogas, which is a great fertilizer (as it can be easily absorbed by the ground and has most of the nutrients required by the plants), can be used in their farm. What are the main reasons that we can face energy crisis in near future? The population of earth is increasing ever fast. This increases the use of energy as there will be more people to tend. Our major source of energy is fossil fuel which is a nonrenewable resources and its stock will finish soon. We do not have the proper alternative source of energy that can replace the our conventional source. 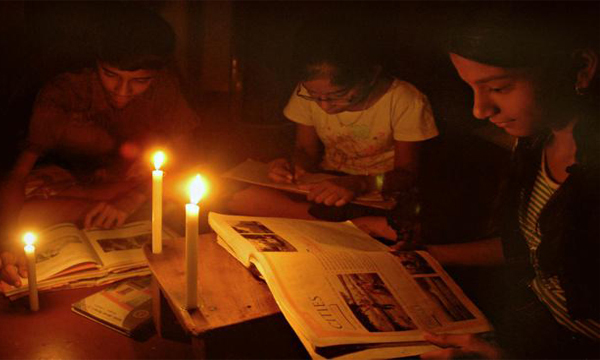 How can energy crisis be averted? The only way to avert the energy crisis is to develop proper alternative energy source that can replace the use of fossil fuel. The alternative source must be the renewable source and must have the capacity to supply energy according to the demand. Which of the following is not condition required in sun for nuclear fusion? Which of the following is the cheapest form of energy? Which type of dryer can be used to dry fruits and vegetables using renewable energy? Gasification of biomass is a ______. Why is geothermal energy called renewable source of energy? 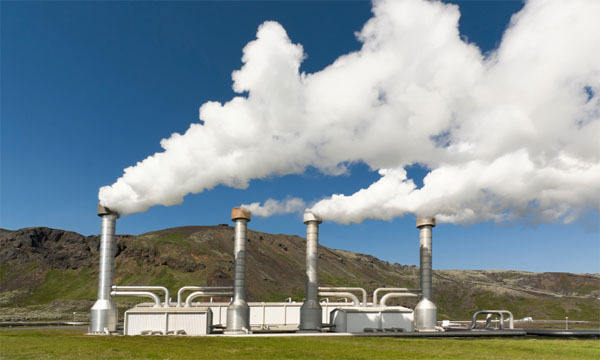 What is the advantage of geothermal energy? Any Questions on 'Renewable Sources of Energy '?